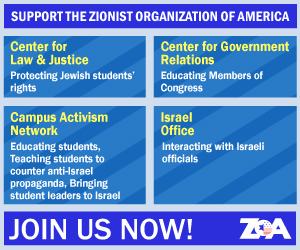 I am writing to you on behalf of the Zionist Organization of America (ZOA), the oldest pro-Israel organization in the United States. Airbnb’s announcement on November 19 that it will delist hundreds of Jewish homes in Judea and Samaria was outrageous. This new policy amounts to blatant anti-Semitism and unlawful discrimination, and we strongly urge you to rescind it. We also encourage all decent people to refuse to use your company until you do so. Airbnb’s website claims, “Discrimination has no place on our platform.” Apparently, though, discrimination now does have a place on Airbnb’s platform – if you are Jewish and live in a Jewish community in the Jewish homeland. A ZOA official and attorney called your company the day its new policy was announced to demand that it be overturned. We were told a senior official would call back our attorney. So far, that promise has not been kept. This breach of promise is particularly inexcusable considering that your company, in announcing its anti-Semitic decision, claimed it “consult[ed] with a range of experts.” Yet, it never consulted with the ZOA or any other legitimate pro-Israel organization or expert as far as I am aware. Until Airbnb rescinds its anti-Semitic policy, the ZOA urges everyone not to use its services, and to call, write, and tweet to Airbnb, demanding that it reverse course. Airbnb’s phony excuses for adopting its new policy are also outrageous. Airbnb announced it was delisting Jewish homes in Judea and Samaria because it adopted a new “Disputed Regions” policy. However, none of the numerous other “disputed regions” in the world (e.g., Cyprus, Tibet, Taiwan, Crimea, or Western Sahara) were targeted. The only region targeted was Judea and Samaria. Moreover, only Jewish homes in Judea and Samaria were targeted. Your company did not de-list Palestinian-Arab homes in the area. Its policy, therefore, cannot be called anything other than anti-Semitic, plain and simple. Your company, Chairman Chesky, also ignores Israel’s historical, religious, political, and international legal rights to Judea and Samaria. Incidentally, Airbnb erroneously calls this area the “West Bank” – the name given to it by Jordan to de-Judaize it after invading and illegally occupying the area from 1948-1967, expelling the Jews who lived there and destroying the area’s ancient synagogues. A friend of the ZOA who called your company to complain told us that an Airbnb operator cited the “security of its customers” to explain why it is delisting Jewish homes. But that is just another phony excuse. Airbnb is delisting Jewish homes in fairly safe Jewish communities while continuing to list Arab-Muslim homes in such unsafe cities in Judea and Samaria as Ramallah and Bethlehem. Your company even continues to list homes in the Gaza Strip, a Hamas terrorist enclave that one enters at the risk of one’s life. Airbnb also continues to list homes in many of the top “murder capitals of the world,” including Cape Town, South Africa (top murder capital #15, yet featured on the front page of Airbnb’s website); Detroit, MI (#42); San Salvador, El Salvador (#17); St. Louis, MO (#13); Natal, Brazil (#4); Caracas, Venezuela (#2); and Los Cabos, Mexico (#1). Moreover, no place in the world is safe from terrorism today. London, Paris, Nice, New York, Boston, Fort Lauderdale, San Bernadino, Hamburg, and Berlin are just a few of the many cities that have been subjected to the same sort of Islamist terror attacks than one may encounter in Israel – and yet Airbnb continues to do business in all these cities. To add injury to insult, not only did your company not consult with legitimate experts before issuing its anti-Semitic policy; it appears that it consulted with some of the worst anti-Israel, falsehood-purveying organizations, such as the Soros-funded, misleadingly-named Human Rights Watch, which revealed in a tweet that it has spent the past two years bamboozling Airbnb into taking this discriminatory action. Chairman Chesky: Is being known as the CEO of anti-Semitic, discriminatory corporation really what you want for your legacy? On behalf of ZOA, I would like to invite you to visit the Jewish communities in Judea and Samaria so that you can see for yourself exactly whom your company is attempting to harm and learn the facts about the Jewish presence in our ancient homeland. ZOA’s Israel director will be happy to give you a guided tour. Note to our Friends: Until Airbnb rescinds its anti-Semitic policy, the ZOA urges everyone not to use its services, and to call, write, and tweet to Airbnb, demanding that it reverse course. We have been informed of many alternatives to Airbnb, including janglo.net, nefesh b’nefesh (nbn.org), booking.com, tripadvisor.com, sweetinn.com, and Vacation Rentals by Owner (vrbo.com). Call Airbnb at 415-800-5959 or 855-424-7262. Airbnb CEO’s e-mail is [email protected]. Airbnb can also be contacted at www.airbnb.com. 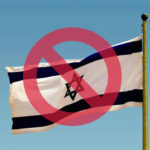 This article was published by the Jewish Press and may be found here.